Product prices and availability are accurate as of 2019-04-18 07:16:30 EDT and are subject to change. Any price and availability information displayed on http://www.amazon.com/ at the time of purchase will apply to the purchase of this product. 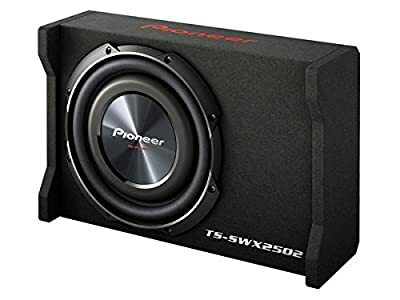 Pioneer TS-SWX2502 10 inch Shallow-Mount Pre-Loaded Enclosure. Music Power (Nominal): 1,200 W (300 W) Frequency Response: 20 Hz to 200 Hz.Avoid installing in areas that are unstable or subject to frequent vibration.